Keeping four million people moving every day while we carry out a massive programme to upgrade train, stations, signalling and track is without a doubt, the biggest challenge of my job. While we do everything we can to keep disruption to customers at a minimum, in some cases it’s unavoidable, says David Waboso. As the summer progresses people are appreciating our fantastic new air-conditioned, walk through trains on the Circle, Hammersmith & City and Metropolitan lines, now being introduced on the District line, which mark a huge step forward in comfort and reliability. Or they will have passed through one of our modernised stations – Green Park, Farringdon, Kings Cross St Pancras to name a few – or by one those under construction at Tottenham Court Road, Victoria and Bond Street. 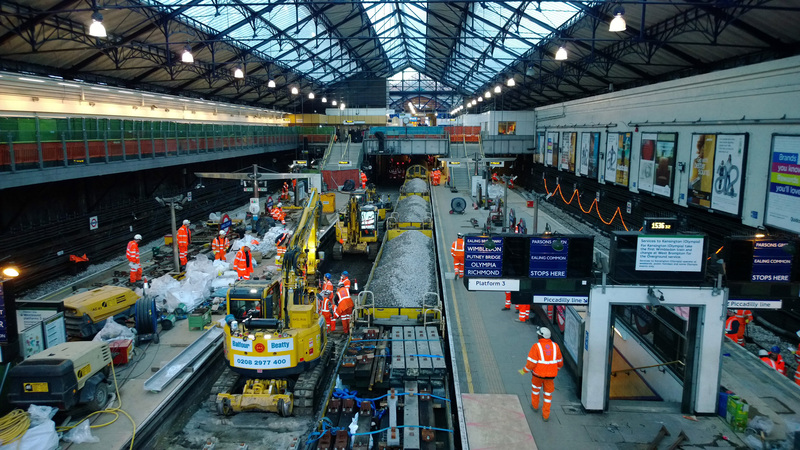 Progress in upgrading our track on the other hand, though absolutely fundamental to delivering a safe and reliable railway, is much less visible to our customers. Like other railways, we need to renew and upgrade our track on a regular basis. The Tube network has 1,129 km of track of which 864 km is used by passenger trains (with a further 266km in depots and sidings). If you consider that new track has a nominal life of 40 years (depending how heavily used and how well maintained it is), then on average we would have to replace 2.5 per cent of our track every year to stand still, which equates to nearly 22km per annum of the passenger network or just over 400m every weekend. As with many of our assets, a historical under-investment has left us with a backlog, so the actual amount we need to replace is even higher. "If you consider that new track has a nominal life of 40 years (depending how heavily used and how well maintained it is), then on average we would have to replace 2.5 per cent of our track every year." Upgrading track on a 150 year old network used by millions of people each day is a huge challenge. Track renewal on the ballasted, open sections of our railway firstly requires all the signalling and power equipment that is mounted on or adjacent to the track to be removed, then excavation of the old track bed and putting in of new ballast (coarse gravel) foundation. This produces thousands of tonnes of waste to take away and thousands of tonnes or up to 15 train loads of new ballast to be brought in. Once completed, the signalling and power kit must be reinstated and thoroughly tested, before hand-back for start of traffic. The Tube historically has "capacity" signalling (in effect lots of short signal sections) and we are also unique in having two power rails mounted on the track, so there are hundreds of items of equipment to deal with. Additionally, the deep narrow tube sections, especially where there are points and crossings, are even more challenging as we need “shrunken” bespoke plant and the hot small sections are difficult work environments. Clearly, it is impossible to do all this work while running a train service so we must carry it out in closures at nights and weekends or where appropriate, in block closures at weekends. We use these at times when traffic is lower such as school holidays and where there are viable alternative routes either on the Tube or other modes of transport, and this allows us to carry out far larger amounts of work more efficiently than during weekends. The large amount of heavy plant and equipment required to mobilise a site takes significant time to assemble within the worksite, demobilising a site takes time as well. The combination of these soaks up many hours of weekend work time so a block closure eliminates the continual weekend mobilise/demobilise and therefore allows for much more work time and saves days of unproductive time. 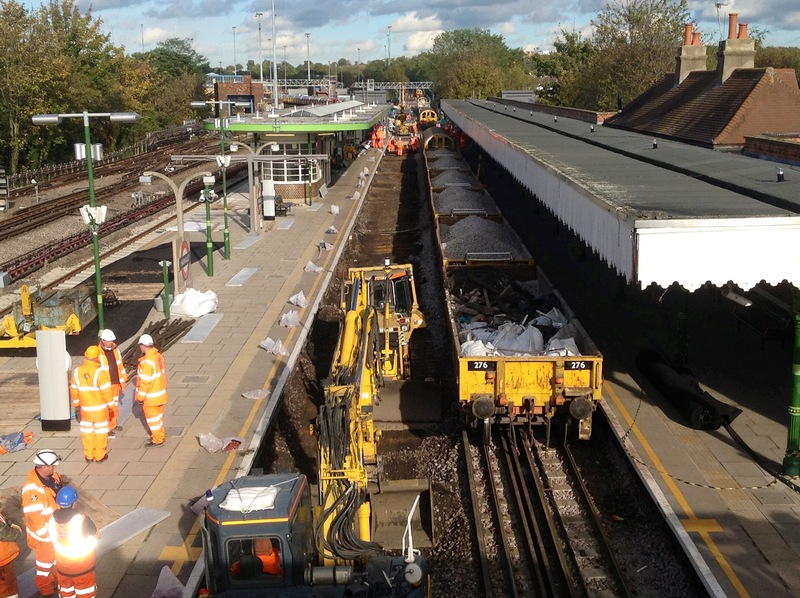 For example, in summer 2012, we carried out a block closure programme on the Hainault Loop section of the Central line which saved over seven days (the equivalent of more than five weekend closures) and £5M compared to the traditional use of multiple weekends. 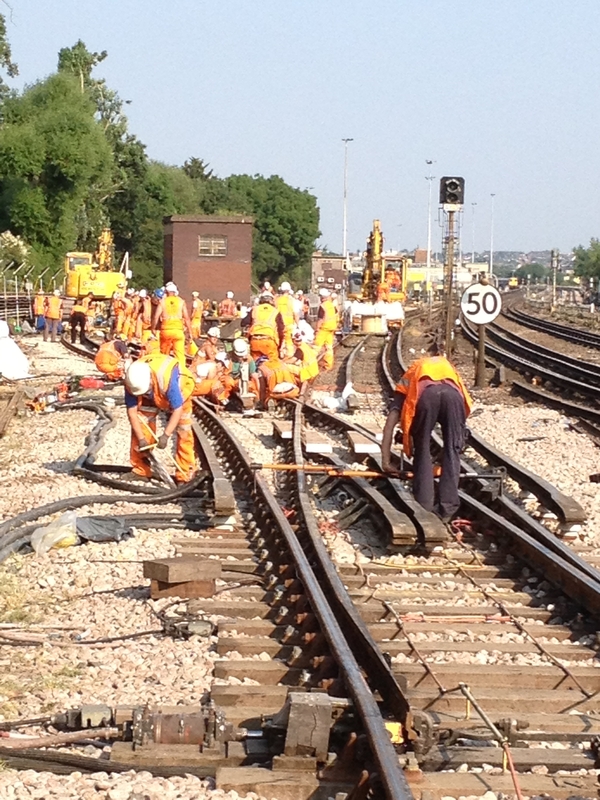 This summer, we are repeating this at the other end of London where between 19 July and 10 August, we’ll be carrying out 6km of ballasted track renewal and drainage work between Ruislip and Uxbridge and replacing a number of points and crossings at a complex junction at Harrow-on-the-Hill. This will again save significant time and money compared to the use of weekends. The beauty of this approach is that during a block closure we can blitz all major assets in the area and therefore don’t have to go back for many years. But there are areas of the network that are not suited to this approach, or even to weekend closures, because they are busy all the time. Anyone travelling in central London at weekends can see how busy the Tube has become. 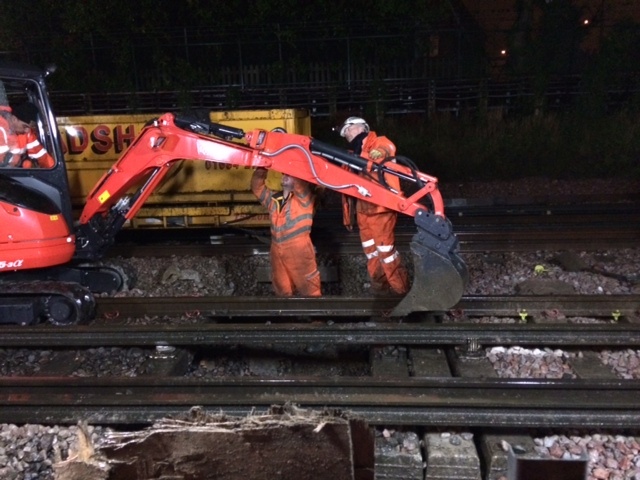 We are therefore looking at different approaches to these central areas and are pioneering the use of innovation to deliver track renewals overnight so that by the use of multiple worksites within a section, together with new plant and intensive labour, we hope to soon be able to renew track just using the three to four hours available at nights. We are working with our track partner Balfour Beatty on this with whom we've also brought in new track materials and techniques, the first on the underground for decades. "We hope to soon be able to renew track just using the three to four hours available at nights." The first real test of success is actually that our customers don't notice anything because we've handed the track back without any disruption to start of service, which in the early days of our capital programme wasn't always the case! As we've got more consistent and improved our efficiency, we've also started to increase our communications of what goes on in the world of permanent way. Passengers don’t often tend to think too much about the track itself – nor the challenge of keeping it in tip-top shape – but when you're gliding along in one of our new trains on brand new track, you'll hopefully now appreciate just some of the huge amount of work that goes into its renewal.